SCHOOL READINESS RATE - 100% BY THE EARLY LEARNING COALITION! RATED ONE OF JACKSONVILLE'S BEST OF THE BEST 2013. Welcome to Peas in a Pod Learning Center. We are a childcare learning facility serving the greater Jacksonville area. 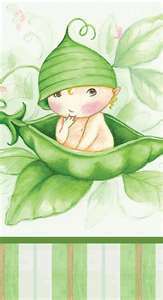 Our curriculum is designed to teach every age group, even our baby peas (infants). We are here to stimulate, motivate and love your child. We are not your typical child care center. Please stop by and see for yourself. We have a wonderful staff and take a lot of pride in our facility. At our center, you are never a number. We are a loving, friendly staff and believe that every parent and child is a part of our growing family. Come join our family to nurture and teach your child in a loving environment. We believe that all it will take is one visit and you will fall in love with what we have to offer. We are now accepting enrollment and are offering great incentives for new parents.. Call today or just drop by! We have an open door policy. Ask about our Referral Program --$50 per full time referral! At Peas in a Pod Learning Center we are committed to protecting your privacy. We use the information we collect to process orders and to provide you the service you expected. In order to process your card, we need to know such details as your name, e-mail address, credit card number and expiration date.At PIAP your privacy is very important to us. We will never give your name, address or any other information to any other company or individual for their promotional or financial gain. The information you submit is used to help you build and maintain your personal account. What do we do to insure your information is kept safe?The PIAP website utilizes various security measures, including encryption technologies and password protection, to protect the security of your information. This ensures that only you and PIAP see any of your personal information.